Did you know that ticket sales and other earned revenue cover only 40% of our expenses? In order to continue providing world-class dance and award-winning education and outreach programs, we rely on the generosity of individuals like you. Enter your name to use for recognition in our printed materials. 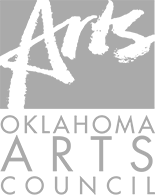 Would you like to process your donation to Tulsa Ballet as a monthly sustaining gift?